How we consume the news has changed drastically over the past century. From newspaper to radio, and from television to social media, the news is perhaps the earliest form of media and will likely persist throughout history. However, our associations with the news have also changed. When once it was a means of staying up to date with current events, it is now a space for debating social justice issues. Of course, I have no problem with this – these issues must be vocalised and challenged. This has spilled over into our music, literature, films, and more, illustrating just how central social justice is to the psyche of our society today. What Makes Girls Sick and Tired is an example of this, discussing the experience of being a woman. Written in a graphic novel format and slam poetry style, this book addresses topics ranging from body image to sexuality, and feminism to sexual assault. Whilst it was an empowering and emotional read filled with beautiful art, I finished What Makes Girls Sick and Tired with more criticisms than I was hoping to, resulting in my 3-star rating. There were a couple of aspects of this book that I thoroughly enjoyed, namely, the illustrations and the powerful narrative. The art style draws inspiration from the Pop Art movement, which celebrated ordinary people and everyday life as opposed to using art as a means of “higher order” expression. Artists such as Andy Warhol and Richard Hamilton turned traditional ideas of art on their heads by making use of mixed media and bold images from mass-culture in their work, commenting on the absurdity of social norms within consumer culture. 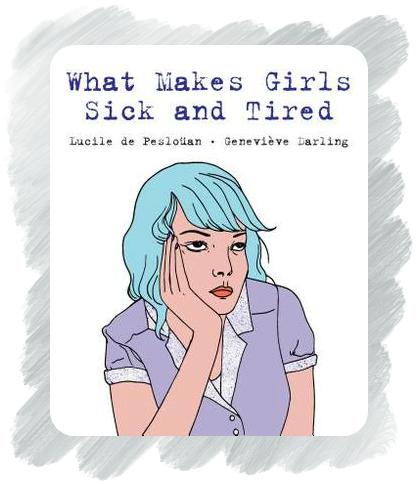 What Makes Girls Sick and Tired is similar in its style and message by presenting striking, to-the-point illustrations and criticising widely accepted ideals surrounding the feminine experience. The art style is also highly reminiscent of Rosie the Riveter, a cultural icon of WWII used to boost female worker morale during the war, marking what is arguably the beginning of women’s seizing of power within society and becoming a symbol of female empowerment today. I love how the art style of this graphic novel evokes these two movements in history and, by doing so, strengthens the book’s emotional impact and empowering narrative. My rating for What Makes Girls Sick and Tired is mostly a result of this intertextuality and how it made me feel. However, I could not give the book a higher rating because of a few problems that sprang up as I read it. 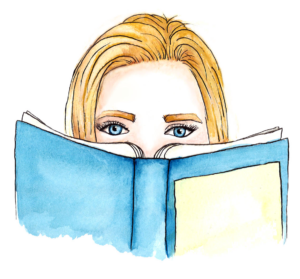 The first of these issues is how the book attempts to cover experiences that all women share without acknowledging how some women are more at risk than others. For example, sexual harassment is an issue that affects all women, yet prostitutes are more likely to be sexually assaulted than, say, a wealthy woman living in an upper-class community. The book makes blanket statements such as these without acknowledging how race, class, religion, and more place a woman at more or less risk than others. Another big problem for me when reading What Makes Girls Sick and Tired was its attempt at placing women within clear-cut groups. Women do not necessarily belong to just one group. A woman can be, for example, bisexual, Latina, and disabled all at once and not just one at a time. I wish the book considered these intersectional experiences of women instead of trying to place them within boxes. Lastly, whilst What Makes Girls Sick and Tired is an empowering book, it does read more like a regurgitation of arguments made on social media surrounding women’s issues. It does not present any new ideas and you have most likely come across most of the content before. I was hoping it would add more to the conversation but it is instead a collection of those aspects of the female experience that have already been brought to life and discussed. There were also a few moments in the book where a statistic was randomly thrown in either between the poetic passages or as a part of them. It threw off the entire flow of the narrative and could have definitely been done in a more effective way. 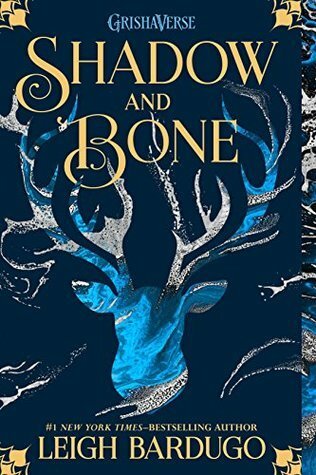 Overall, whilst the writing style itself was powerful and poetic, the content was nothing new and was written in a fairly haphazard way. My experience reading What Makes Girls Sick and Tired was a bit of a rollercoaster. I found it to have some really powerful content and the illustrations absolutely blew me away. However, this does not change the fact that I did not take away anything new or life-changing. In addition to this, the book has a few issues when it comes to exactly how it considered women and our experiences, which is a pity considering how valuable this book is for younger girls to read. All in all, What Makes Girls Sick and Tired was an alright book – not terrible but not fantastic either. Regardless, I’m glad that it will be out in the world soon enough and undoubtedly leave its mark on someone!